FAA has released its proposal to overhaul 14 CFR Part 23, the key regulations that govern the certification standards for most general aviation aircraft. You can read the entire proposed rule here (PDF). It will be published in the Federal Register on March 14, 2016, when the docket will open for public comment. Search for Docket No. : FAA-2015-1621; Notice No. 16-01. The proposed regulations contain much detail for engineers and manufacturers. The following discussion, however, focuses on the general intent of the new rules and some key changes of particular interest to pilots and owners. The Executive Summary provides background on the need for an overhaul of the certification standards and the FAA’s general intent in rewriting Part 23. Part 23 of Title 14 of the Code of Federal Regulations (14 CFR) prescribes airworthiness standards for issuance and amendment of type certificates for airplanes with a passenger-seating configuration of 19 or less and a maximum certificated takeoff weight of 19,000 pounds or less. Airplanes certificated under part 23 are typically used for recreation, training, personal travel, and limited commercial applications. The current part 23 airworthiness standards are largely prescriptive, meaning that they describe detailed design requirements, and are based on airplane designs from the 1950’s and 1960’s. As a result of this prescriptive framework, the FAA often requires a design approval applicant seeking to incorporate new or innovative technology to provide additional documentation that typically results in the FAA’s issuance of special conditions, exemptions, or equivalent level of safety (ELOS) findings. The FAA recognizes that these additional procedures and requirements are costly to the FAA and industry, act as barriers to certification, and discourage innovation. Therefore, to encourage the installation of new safety-enhancing technology and streamline the certification process, the FAA proposes replacing the prescriptive requirements found in the current part 23 with performance-based standards. The part 23 regulations should not need to prescribe basic physical principles, sound engineering judgment, and common sense. This proposal to revise part 23 has two principal components: establishing a performance-based regulatory regime and adding new certification standards for loss of control (LOC) and icing. Where the FAA proposes to establish new certification requirements, these requirements would be adopted within the same performance-based framework proposed for part 23 as a whole. The intent of this NPRM is to reduce regulatory barriers by establishing a system based on safety-focused performance requirements and FAA acceptance—as a means of compliance—of consensus standards. FAA-accepted consensus standards would add clarity to the certification process and streamline FAA involvement in the development of means of compliance. Additionally, adopting performance standards would significantly reduce the complexity of part 23. Furthermore, the introduction of airplane certification levels based on risk (i.e., number of passengers) and performance (i.e., speed) would advance the FAA’s effort to introduce risk-based decision-making and better align with the FAA’s safety continuum philosophy. Together, the FAA believes these changes would allow the FAA to provide appropriate oversight based on the safety continuum and would restore a simple and cost effective certification process based on proven engineering practices. Like many pilots and aircraft owners, I am most interested in how the proposed rules would affect my ability to upgrade my airplane and replace worn or obsolete parts and systems. Others hope that when the rules are adopted, manufacturers will offer new aircraft that include the latest technology at prices substantially below today’s levels. The proposal offers a few tantalizing suggestions about how the new rules would affect the development and cost of components. The FAA also proposes to revise part 21 to simplify the approval process for low-risk articles. Specifically, the FAA proposes amending § 21.9 to allow FAA-approved production of replacement and modification articles using methods not listed in § 21.9(a). This proposed change is intended to reduce constraints on the use of non-required, low risk articles, such as carbon monoxide detectors and weather display systems. This provision seems to align with recent FAA policy statements governing the installation of electronic attitude indicators and angle-of-attack displays. Examples of such [low-risk] articles include carbon monoxide detectors, weather display systems, clocks, small hand-held fire extinguishers, and flashlights. In many cases, these articles are “off-the-shelf” products. It is frequently difficult for a person to install these articles on a type-certificated aircraft because the level of design and production details necessary for these articles to meet the provisions of current § 21.9, as expected for more critical articles, are frequently unavailable. The FAA is therefore proposing…to provide applicants with an alternative method to obtain FAA approval to produce replacement and modification articles. This proposed change would allow a production approval applicant to submit production information for a specific article, without requiring the producer of the article to obtain approval of the article’s design or approval of its quality system. The FAA intends to use the flexibility provided by this proposal to streamline the approval process for non-required safety enhancing equipment and other articles that pose little or no risk to aircraft occupants and the public. The FAA requests comments on this proposal, and particularly is interested in comments regarding whether the proposed change would safely facilitate retrofit of low risk articles and whether there are alternative methods to address the perceived retrofit barrier. But other than mentioning the items above, the proposal lacks specifics about what “non-required, low-risk articles” means. I’d like more information about supplemental instruments and displays, such as engine and system monitors, backup flight instruments, and navigation displays. Will it be easier and cheaper to install such equipment in aircraft that were certified under the current rules? Will the new rules or forthcoming policy statements and advisory circulars expand the definition and description of the items in this category? Airplane Certification Level – A division used for the certification of airplanes that is associated directly with the number of passengers on the airplane. Airplane certification levels would be established to implement the agency’s concept of certificating airplanes using a process that recognizes a safety continuum. Airplane Performance Level – Maximum airspeed divisions that are intended, along with airplane certification levels, to replace current weight and propulsion divisions used for the certification of airplanes. Current propulsion-based divisions assume that piston engine airplanes are slower than turbine-powered airplanes. Current weight-based divisions assume that heavier airplanes are more complex and would be more likely to be used in commercial passenger carriage than lighter airplanes. These assumptions are no longer valid. Airplane certification based on performance levels would apply regulatory standards appropriate to airplane’s performance and complexity. Departure Resistant – For the purposes of this NPRM, departure resistant refers to stall characteristics that make it very difficult for the airplane to depart controlled flight. Most fatal stall or spin accidents start below 1000 feet above ground level and do not actually spin, but start a yawing and rolling maneuver to enter the spin called a post stall gyration. In these low-altitude accidents, the airplane typically hits the ground before completing one turn. Therefore, the important safety criterion is preventing the airplane from exhibiting stall characteristics that could result in a departure from controlled flight. Entry-Level Airplane – A two or four-place airplane typically used for training, rental, and by flying clubs. Historically, most of these airplanes have four cylinder engines with less than 200 horsepower. These airplanes typically have fixed-gear and fixed-pitch propellers, but may also have retractable landing gear and constant speed propellers. Entry-level airplanes typically cannot be used to train pilots to meet the requirements to operate a complex aircraft, as that term is defined for airman certification purposes. The differences between normal, utility, and acrobatic categories are currently very limited and primarily affect airframe structure requirements. Proposed part 23 would still allow a normal category airplane to be approved for aerobatics provided the airplane was certified to address the factors affecting safety for the defined limits for that kind of operation. Currently, the utility category provides airplanes additional margin for the more stringent inertial structural loads resulting from intended spins and the additional maneuvers stated in the requirements of the utility category in § 23.3(b). The FAA proposes that airplanes approved for spins be certificated to aerobatic standards. An airplane designed with traditional handling qualities and designed to allow spin training is more susceptible to inadvertent departure from controlled flight. The FAA believes that maintaining the current utility category for airplanes approved for spins and limited aerobatic maneuvers would negate the single largest safety gain expected from this rulemaking action—the significant reduction in inadvertent stall-related departures from controlled flight. Proposed § 23.5 would apply certification in the normal category to airplanes with a passenger-seating configuration of 19 or less and a maximum certificated takeoff weight of 19,000 pounds or less. Proposed § 23.5 would also establish certification levels based on the passenger seating configuration and airplane performance levels based on speed…The FAA proposes replacing the current part 23 weight and propulsion divisions because they were based on assumptions that do not always fit the large diversity of airplane performance, complexity, technology, intended use, and seating capacity encompassed in today’s new airplane designs. Also, the current divisions may not be appropriate to address unforeseen designs of the future. Level 1 – for airplanes with a maximum seating configuration of 0 to 1 passengers. Level 2 – for airplanes with a maximum seating configuration of 2 to 6 passengers. Level 3 – for airplanes with a maximum seating configuration of 7 to 9 passengers. Level 4 – for airplanes with a maximum seating configuration of 10 to 19 passengers. operating limit speed (VMO) ≤ 250 KCAS (or MMO ≤ 0.6). High speed – for airplanes with a VC or VMO > 250 KCAS (or MMO > 0.6). Proposed § 23.5(d) would identify a simple airplane as one with a certification level 1, a VC or VMO ≤ 250 KCAS (and MMO ≤ 0.6), and a VSO ≤ 45 KCAS, and approved only for VFR operations. The FAA proposes a simple airplane as equivalent to airplanes certificated under EASA’s current CS-VLA. Note that the NPRM does not advocate elimination of the current LSA category. The FAA considered allowing airplanes that meet the consensus standards applicable to the certification of special light-sport aircraft to be included in proposed part 23. However, the FAA decided that this would not be in the best interest of the GA community because it could result in the elimination of the special light-sport aircraft category. There are advantages in the certification of special light-sport aircraft, such as self-certification, that would not be available if the aircraft were type certificated under part 23. This proposal would instead enable a simpler path to part 23 certification for airplanes that meet the definition of a light-sport aircraft and wish to pursue a type of certificate for business reasons. The proposed airworthiness standards would allow airplanes to be certificated at different airplane certification levels. For example, software integrity levels appropriate for a certification level 1 airplane may not be appropriate for a certification level 4 airplane. Additionally, the takeoff performance of an airplane might be evaluated differently for an airplane intended to be certificated at different airplane certification levels. An applicant seeking certification of a certification level 1 airplane with a takeoff distance of 200 feet, for example, would not need to establish the takeoff distance with the same degree of accuracy as would an applicant seeking certification of a certification level 4 high-speed airplane with a takeoff distance of 4,000 feet. The FAA proposes moving away from the current stall characteristics and spin testing approach to address the largest cause of fatal accidents in small airplanes. 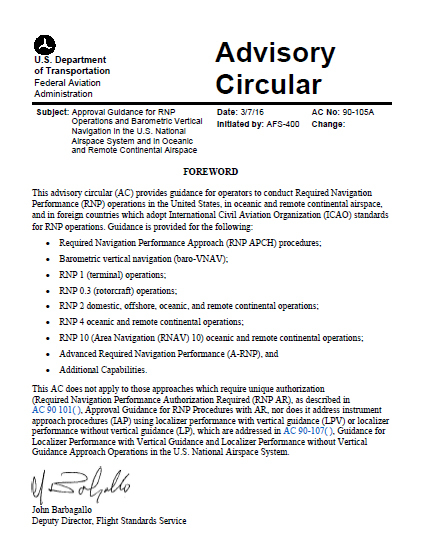 Proposed § 23.215 in subpart B would omit the one turn/three second spin requirement for normal category airplanes, but it would increase the stall handling characteristics and stall warning requirements so the airplane would be substantially more resistant to stall-based departures than the current rules require…Accordingly, a new airplane would have to be approved for aerobatic loads as the normal category, even if an applicant only wanted to spin the airplane. Therefore, the FAA proposes to restrict certification of new airplanes for dual use, which can be done today using both the normal and utility categories. The FAA believes that if the airplane can spin for spin training, then the airplane can inadvertently stall and depart into a spin during normal operations. One of the FAA’s goals is to prevent inadvertent stalls, so allowing airplanes that are commonly used as rental airplanes to spin would defeat the goal. However, the FAA would consider accepting a dual-purpose airplane if the airplane manufacturer provided a system that could be changed mechanically or electronically from normal to aerobatic as a maintenance function rather than controlled by the pilot. speed based stall warning requirements and requiring a clear and distinctive warning with sufficient warning margin for the pilot to prevent a stall. Historically, stall warning systems in part 23 airplanes have been simple, mechanical vanes that may or may not provide reasonable lead-time to prevent a stall. These systems also can provide false alerts when they are not needed, creating a nuisance. Furthermore, similar sounding warning horns that alert the pilot of other situations can result in the pilot either becoming used to the warning sounds or mistaking the stall warning for another warning such as the autopilot disconnect horn. The FAA believes removing the current prescriptive speed based stall warning from the rules would encourage the installation of better, more effective low speed awareness systems that may use angle of attack, a speed decay rate, or clear voice commands to alert the pilot. The FAA proposal changes several key provisions governing the certification of multiengine aircraft, especially stall and Vmc standards. Proposed § 23.200(c) would require all certification levels 1 and 2 multiengine airplanes that lack the performance to climb after a critical loss of thrust to stall before loss of directional control. This is a new requirement and it targets the high number of fatal accidents that occur after an engine failure in this class of airplane. Light multiengine airplanes that lack the performance to climb after the critical loss of thrust are especially susceptible to this type of accident. The Part 23 Reorganization ARC discussed and several members proposed that all multiengine airplanes have guaranteed climb performance after a critical loss of thrust.Ultimately, this approach was rejected, as it could impose a significant cost on the production of training airplanes. Furthermore, several members pointed out that the safety concern was not that the airplane could not climb on one engine, but rather that the airplane would depart controlled flight at low speeds above stall as a result of asymmetric thrust. The FAA agrees that loss of control caused by asymmetric thrust is the critical safety issue that should be addressed and the FAA believes that the proposed rule responds to this concern. allowed to stall, the asymmetric thrust will still cause the airplane to lose directional control and likely depart controlled flight. The FAA agrees, but believes that pilots are typically more aware of their stall speeds than minimum control speed, especially during turns. Furthermore, these airplanes would be required to meet the proposed stall warning and stall characteristic requirements, which the FAA expects would provide additional safety margins beyond current requirements. Finally, the system that provides stall warning could also be designed to provide VMC warning. Finally (for this discussion at least), the NPRM offers several common sense changes to certification requirements for takeoff and landing performance–and to the information and procedures that manufacturers provide to pilots. landing distances to be executed consistently by pilots of average skill in atmospheric conditions expected to be encountered in service..The safety intent of the current rule is to ensure an average pilot can consistently get the same results as published in the Airplane Flight Manual (AFM). The FAA believes this requirement would ensure applicants either perform their performance tests in a conservative manner or add margins and procedures to the AFM performance section so an average pilot can achieve the same performance. Garmin has published a useful document on the topic of the types of legs that appear in various instrument procedures. For example, many departure procedures include fix-to-altitude legs. GNS 400(W)/500(W) Series and GTN 6XX/7XX Series Instrument Procedure Leg Awareness (PDF) is a good summary of key types of legs that are used in DPs, STARs, and approaches, and it describes the features and limitations of the GNS and GTN units. You can also find information on IAP legs in Chapter 6 of the Instrument Procedures Handbook. FAA appears to have abandoned its plan to charge for online charts and data. You can find the free digital products at the FAA website, here. The FAA/ Aeronautical Information Services will implement updated IACC 8 Specifications to include all of the “Green Books” (the volumes that cover the lower 48 states, Puerto Rico and the U.S. Virgin Islands) with the March 31, 2016 editions. The major noticeable change will be the title change from Airport/Facility Directory to Chart Supplement U.S.
Airport/Facility Directory will still refer to the front section of the books where the airports, NAVAIDs, and weather devices are listed. Chart Supplement will refer to the entire volume. Here’s an example of the new covers.